Can carrots actually help my eyesight? Everyone in my immediate family has 20/20 vision. My mom always claims that we all have perfect vision because of her selectiveness of what she would feed us (a hefty amount of carrots). Seriously, carrots are incorporated in basically every meal, in some way or another. If carrots are not an ingredient in the main course they are most definitely going to be somewhere else in the dinner. At a family dinner in my household, one could expect either peas and carrots as a side dish, carrot cake for desert, or apple and carrot juice (which is surprisingly tasteful). If carrots truly do help one’s eyesight like the myth claims, I’d have the best eyesight in the world. How true can this correlation between carrots and better eyesight actually be? Do carrots actually benefit the human eye? After analyzing the various studies, articles, and opinions on the matter, I found that there is no definite answer, shockingly. I did find, more often than not, that scientists believe carrots do benefit eyesight. Based on the lack of evidence provided by those who disagree that carrots have a benefit on eyesight, I lean towards believing in the so-called “myth.” The null hypothesis of this study is that carrots have no effect on one’s eyesight. The alternative hypothesis is that carrots do in fact have a positive effect on one’s eyesight. The Cleveland Clinic study refers to two experiments. The first experiment, that took place in 2005, had Nepali women, suffering from “night blindness,” divided into six groups and then given certain foods depending on what group they were placed in. The University of Maryland Medical Center defines night blindness as “poor vision at night or in dim light.” One of the six groups, that the Nepali women were divided into, ate a large sum of carrots each week, over a six-week period. The other five groups were given different foods, all rich in Vitamin A, over the six-week period. In this experiment, the null hypothesis is that the carrots will not lessen the night blindness in the Nepali women. The alternative hypothesis is that the carrots will lessen the night blindness in the Nepali women. The study’s conclusion is consistent with the alternative hypothesis. The carrots helped increase the Nepali women’s responsiveness to darkness. The second experiment, found in the Cleveland Clinic study, used around 2,300 participants, all older than 55. This was an observational experiment that looked at how these participants got their dose of carotenoids. 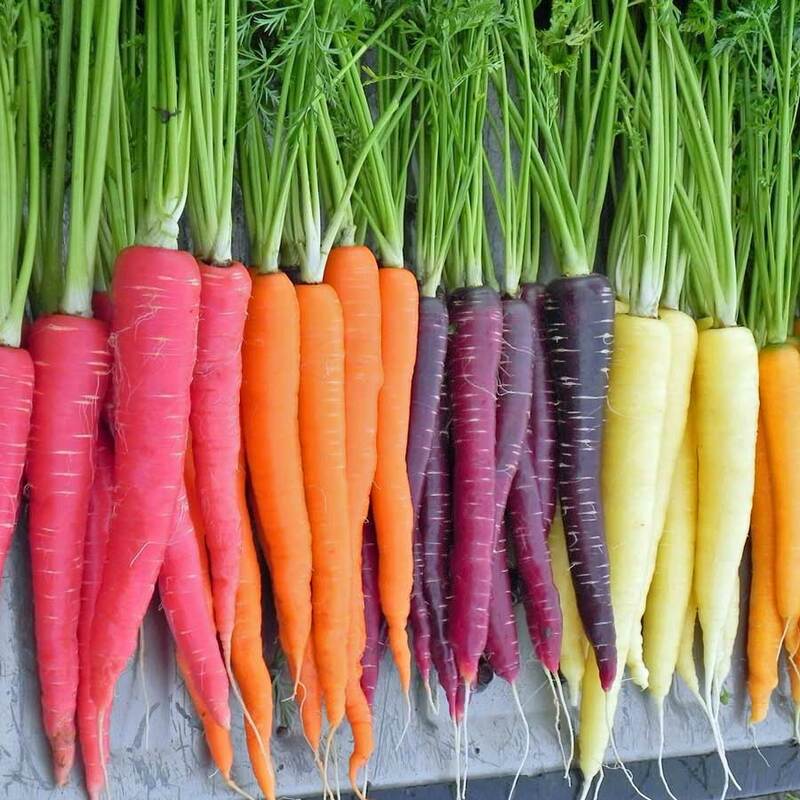 Oregon State University defines carotenoids as “warm colored pigments that are synthesized in plants.” The observational experiment found that carrots were responsible for most of the beta-carotene (a type of carotenoid) consumption. Beta-carotene has many positive and negative effects, but in regards to eyesight, beta-carotene is used reduce the chance of night blindness during pregnancy. Essentially the experiments in the Cleveland Clinic Study show that carrots have a positive effect on eyesight, thus consisting with the original alternative hypothesis. This article, released by Harvard Health Publications, says that carrots don’t necessarily have that large of a benefit to individuals who have healthy eyes. 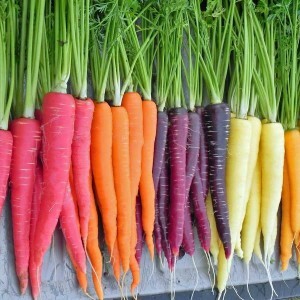 Carrots do in fact have an effect on people who do not have healthy eyes. Most people, as they get older, start to experience a decline in the well-being of their eye. Harvard Medical School says that for these individuals eating carrots does make a difference. 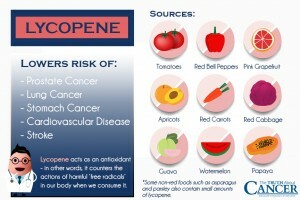 The results of the second study, reviewed by the Cleveland Clinic, agree with this. This report, written by the Guelph Food Research Centre, explains that carotenoids (previously mentioned), that are found in carrots, have large effects on the human eye. The report describes how carotenoids make up the main pigments found in the human retina, but this doesn’t show carrots benefitting eyesight. These same carotenoids do reduce the risk of an individual getting “age-related macular degeneration.” The National Eye Institute defines age-related macular degeneration as “a disease that blurs the central vision individuals need for straight ahead activities.” Although the mechanics of how carotenoids reduce the risk of this disease is not clearly explained, it is reasonable to conclude that carrots would have more of a beneficial effect than a negative one. 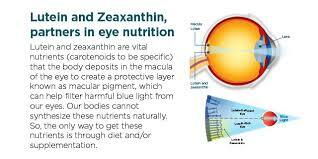 Also, lutein and zeaxanthin, both types of carotenoids, are found in carrots. These two carotenoids are known to be beneficial for the human eye (and body) because of the results of many “epidemiological, clinical, and interventional” studies. The goal of this report, which was made clear by the author, was to show the favorable effects brought about by these two carotenoids that are found in carrots. Even if the conclusions of all of these studies were proven to be incorrect or caused by a third confounding variable, carrots have also not been proven to have any negative effects on the human eye. 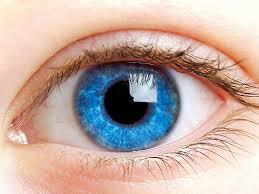 Therefore, at worst, carrots have a benign effect on the eye. Personally, because there is no definitive answer, I believe that the alternative hypothesis is correct. I guess the only reason someone should not eat carrots is if they don’t like the taste. 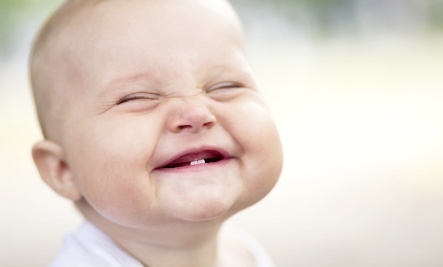 Can laughing make me healthier? I can’t be the only person to have heard somebody say that a good laugh is like cheap medicine, or something along those lines. Like most people, I love to laugh, but am I actually getting healthier? I understand that laughing can take someone’s mind off of something stressful, and maybe help them emotionally, but does laughter bring about a physical change in the body, does it heal? 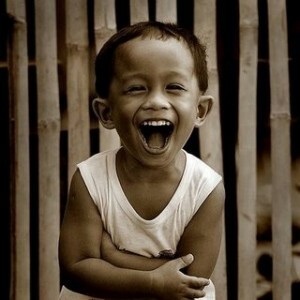 All the studies and reports unanimously agree that laughter does in fact heal. Sincerely, I did not find a single piece of evidence that consists with the null hypothesis, that laughter does not heal. 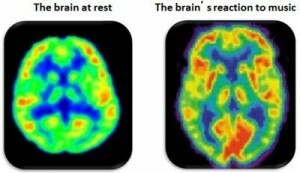 This result was not shocking, the alternative hypothesis (laughter does heal) was deemed to be correct. Before I even began research, I assumed that there had to be some truth to such a renowned statement. The first study I looked at was performed by a many different research centers (four to be exact). The study was a randomized control trial. Its purpose was to see if laughter therapy would help combat the declining health of the elderly. I use the word “declining” because the study’s background describes how aging debilitates normal bodily functions. The trial had 72 participants; all participants were over the age of 60 and all were from the same retirement community center. The senior citizens were split into two groups: the control group and the experimental group. The control group were instructed to live out their lives as they normally would, whereas the experimental group had to attend laughter therapy sessions over a six-week period. The trial results, calculated mathematically, furnished a compelling relationship between laughter and “general health, somatic symptoms, insomnia and anxiety.” The researchers concluded that laughter has the chance to help improve the health of older individuals. The University of Kentucky published a paper on laughter. The paper begins with some lighthearted, interesting facts about laughter, but quickly delves into all its known health benefits. The University of Kentucky based all of the health benefits of research on scientific evidence. 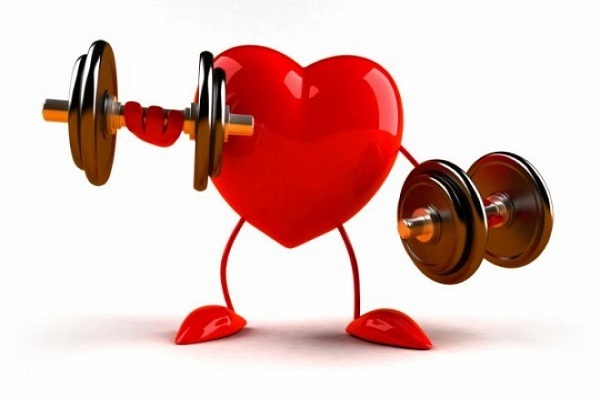 Some health benefits are: a safer blood pressure, increase in pain threshold, reduction in the hormones associated with stress, a strengthened immune system, possible protection from a heart attack, increased brain function, regulated respiration, etc. The College of Agriculture at the University of Kentucky seems to believe that the alternative hypothesis is correct. This is another study whose results agree with the alternative hypothesis. This study, conducted in 1985 (accepted in 1987), wanted to see if laughter could affect an individual’s pain threshold. Within the study, two different randomized control trials were conducted. The first experiment had 40 people split into an experimental group and a control group. The experimental group listened to a 20-minute-long comedy track; the control group listened to either a non-humorous audio tape or no tape at all. After this, the test subjects were subjected to pressure induced discomfort. The experimental group had a higher threshold for pain than the control group. The second experiment was a non-randomized control trial. This trial enrolled 40 women with the same “pressure-induced discomfort thresholds.” Like the first experiment, the participants were split into an experimental group and a control group. The experimental group listened to the comedy tack and the control did a mundane task, listened to a non-humorous audio tape or did nothing at all. Again, the experimental track had a higher threshold for pressure-induced comfort. Rosemary Cogan, the scientist leading the experiment, concluded that laughter could potentially be used to reduce “clinical discomfort.” The University of Kentucky listed “an increase in pain threshold” as a health benefit. Therefore, the results of this study are also consistent with the alternative hypothesis. Although this article is not a dependable source of scientific information, it lists the mental health benefits, physical health benefits, and the heart health benefits of laughter. I have already mentioned the mental and physical health benefits, that this article lists, earlier on in this blog post. The difference between this article and the others that I have read is that this article lists a possible mechanism on how laughter helps benefit heart health. The article says that based on some research (said research is not provided in the article), laughing increases blood flow due to a release of endorphins. Endorphins are defined on the first page in chapter 29 of the textbook “Progress in Brain Research.” Endorphins are “neuromessengers” that regulate “endocrine, automatic and behavioral functions.” These endorphins are also known to combat stress and negative feelings. Referring back to the original article, endorphins are usually increased in activities like working out or listening to music (both of these activities are known stress relievers). To sum it up, laughter takes stress off the heart, thus benefiting heart health. The Mayo Clinic, which has been a dependable source of information for all my other blogs, also weighs in on how laughter is beneficial for one’s health. The clinic’s thesis is that laughter brings about different short-term health benefits, such as the stimulation of organs, the soothing of tension, and the alleviation of one’s “stress response.” The correlation between laughter and the stimulation of one’s organs is based on the intake of oxygen and the growth in the number of present endorphins (basically solidifying the views of the article linked in the previous paragraph). Once again, another piece of research consists with the alternative hypothesis. I did not expect to find such an unanimously agreed upon consensus when I first began to question the validity of the statement. Since cannot be absolutely certain about hypothesis, this is as close as one can get to having absolute certainty. The correlation can be due to chance, but because there are mechanisms present, it seems unlikely. Why not laugh? More than just a couple scientists say it’s good for you. Unless laughing is prohibited where you are from, there are no consequences for it. Laugh away, it’s good for you. Do hair growth treatments actually work? 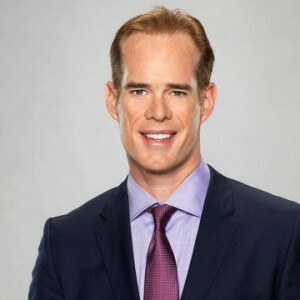 Back in October, Joe Buck, a famous sports broadcaster for Fox, told the public that he was addicted to hair plugs. After a surgery to add hair to the front of his head, Joe Buck was unable to speak. The exact reason for why his vocal cord was paralyzed, post-surgery, is unclear, but it was accepted that it was a result of the surgery. His entire career is based on his ability to speak. Surgery is most definitely scary, and if I was Joe Buck, I would have opted for a safer way. This made me wonder, did Joe Buck try other hair growth treatments? Are hair growth treatments even effective? After researching multiple different studies, I have come to the conclusion that for the most part, hair growth treatments do promote hair growth. Although the treatments do promote hair growth, no one treatment is one hundred percent effective. I was surprised to find that more often than not, hair growth treatments do work, mainly because all the hair growth commercials on TV look so fake. The null hypothesis of this study is that hair growth treatments do not work. The alternative hypothesis is that hair growth treatments do work. According to this study, chemicals can be used to promote hair growth. The chemical used in the study is called dendrobium candidum polysaccharides, which can be abbreviated into DCP. The experimental, randomized control trial had 30 mice that were randomly divided into a control group and an experimental group. The only difference between the two was that the experimental group had been subjected to DCP. The result was that the experimental group grew much more hair and even had a higher survival rate than the control group. The DCP hair treatment worked and therefore is consistent with the alternative hypothesis. 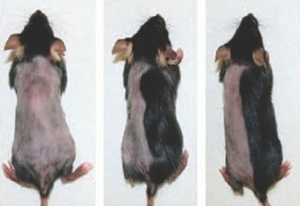 This experimental study was not able to promote hair growth using their specific treatment. The scientists from this experiment attempted to apply minoxidil, a synthetic drug used to promote hair growth, to the skin of newborn mice over a 25-day period. Hair growth was not affected, at least recognizably. Therefore, the result of this study is consistent with the null hypothesis. The Columbia University Medical Center has published a paper, that claims to have found a treatment that successfully promotes hair growth. 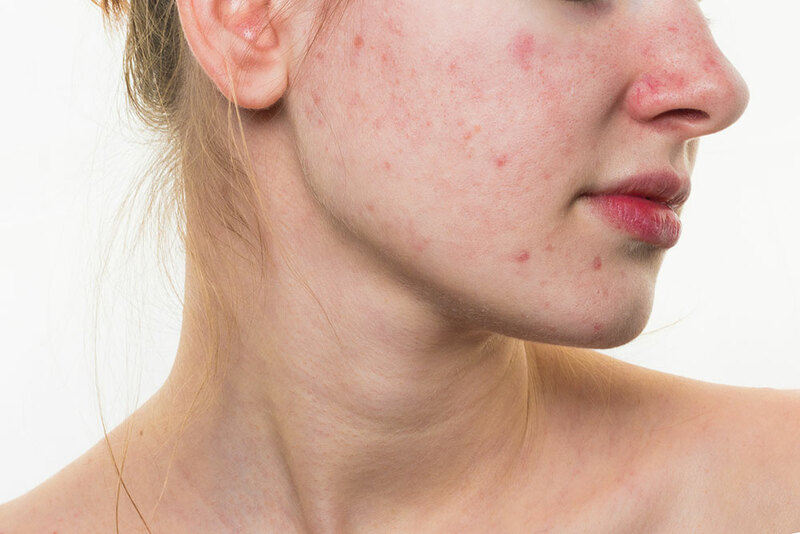 They claim that this can be done by “blocking enzymes in hair follicles.” The findings of the study were published here as well. The study found that a type of enzymes can be used to rapidly promote hair growth. The study was conducted on hairless mice, but would restore hair growth in men with pattern baldness. This hair growth treatment was wildly successful and two of the enzymes have been approved by the U.S. Food and Drug Administration. This hair growth treatment has been deemed safe and effective. 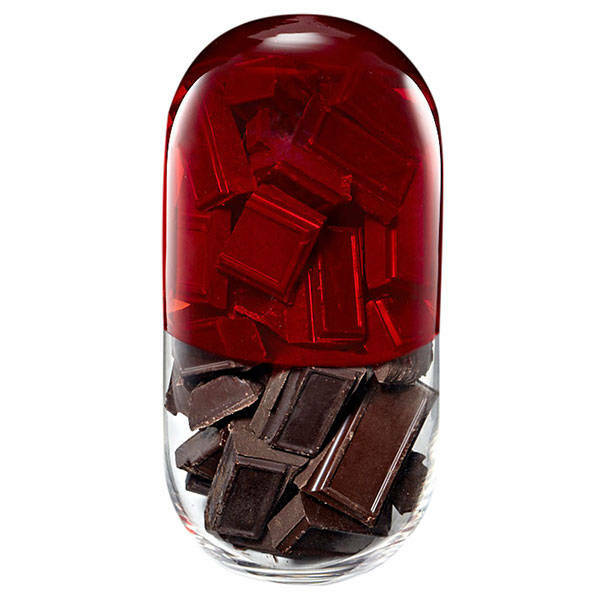 Essentially, this treatment works, and therefore the results of this study agree with the alternative hypothesis. The same enzymes that were mentioned in the previous paragraph, were used to treat 12 individuals suffering from alopecia areata (a disease that causes hair loss). This clinical trial was conducted over a period ranging from 3 to 6 months. The participants’ average hair regrowth had risen to 92 percent at the end of the trial. When the trial ended and the treatment stopped, some of the patients began to experience hair loss. The results of this study are also in accordance with the alternative hypothesis. Hair growth treatments do work, more often than not. I don’t know if Joe Buck has plans to undergo anymore hair plug transplants, but if he did, I would urge him to look at different options of hair growth treatments. Scientists are always performing experiments trying to perfect hair growth treatment, so it is just a matter of time until scientists find the treatment that is effective without fail. Thankfully, I don’t have to worry about hair loss, but if I did I would find comfort knowing that hair growth treatments do in fact work. Can Chewing Gum Really Improve My Grades? 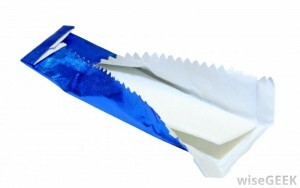 It’s crazy to think that something as simple as chewing gum could help improve testing scores. How could this happen though? Pre-research, I’m guessing it has something to do with the mindless chewing stimulation, which allows the brain to give the studying more attention. Obviously, this hypothesis is based on zero evidence and is just a shot in the dark. In Alyson Fox’s article, she refers to a study that was published by the Appetite. The study found that students who chewed gum before the test did better than those who did not. The same study found that chewing the gum before the test improved a lot of brain functions, including types of memory, quickness of thought and “cognitive functioning”. “Cognitive functions” are essentially any exertions of the brain that lead to the comprehension of information (Cereboost par. 1). Fox later explains that the beneficial effects of chewing gum were short lived; the effects only lasted for about 20 minutes into the tests. No effect was noticed when gum was chewed throughout the test. The actual statistics of the study showed that non-gum chewers remembered as little as half as much as the gum chewers remembered. Fox claims that one theory as to why chewing gum enhances cognitive functions is that the chewing of gum increases the awareness of the individual. The reason the awareness fades after 20 minutes is because the person stopped chewing. One flaw in this theory that I noticed is that if gum chewing raises one’s awareness, why wouldn’t it raise their awareness during the examinations distributed in the experiment? In 2011, Jonah Lehrer published an article titled “The Cognitive Benefits of Chewing Gum.” His first point is that chewing gum is a very strange business, which is reasonable because gum provides no nutrients and seems like a waste of jaw movements. Lehrer alludes to a study that took place at St. Lawrence University. The link that he provided to the study shows a study very similar to the one that Fox wrote about. Both studies had students chew gum before taking a test and both tests furnished the same results. In Lehrer’s article, the study is explained in much more detail, but the detail is pointless because the experiment resulted in the same manner. Lehrer questions whether the enhancement in cognitive functions could be due to the glucose in the gum, but quickly dispels the theory saying that gum without glucose provided the same boost in cognitive functions. Here Lehrer offers the researchers’ hypothesis, which was similar to Fox’s. The hypothesis predicts that the boost in cognitive functions is because the actual act of gum chewing awakens the chewer, allowing he/she to focus more on the task at hand. One study done by the scientists at Coventry University actually supports Lehrer’s hypothesis. The study concerned the effects of chewing gum on one’s awareness and tiredness. 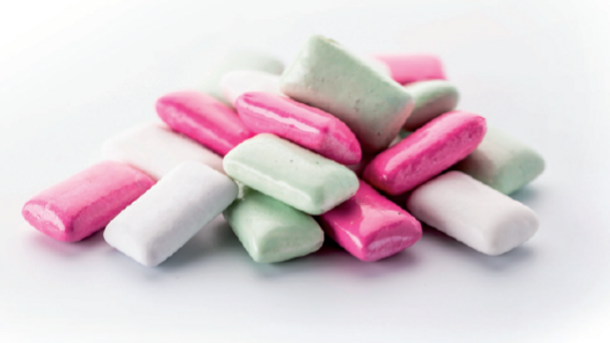 The study found that chewing gum allows an individual to remain less sleepy and retain their measure of awareness. This study also cannot provide a definite mechanism for why gum has such an effect on an individual, but the hypothesize that it is because of the flavor of the gum. So, chewing gum actually does help one’s performance on exams. Although the mechanism is unclear as to how it does so, it can’t hurt to give it a shot. Also, who doesn’t like to chew gum and blow the occasional bubble? This entry was posted in Uncategorized on September 16, 2016 by Maximilian Arthur Kesner. Countless times I have found myself sitting in the library dozing off or not paying attention. It’s ironic because I go to the library for the quietness so I can concentrate. Yet, when it’s too quiet I get bored or lose focus in what I’m doing. In search of a happy medium, I stumbled upon a website that recommended some light background music (Centura par. 4). The Stanford University School of Medicine conducted an experiment in 2007 to see if music helps the brain pay attention. The study was composed of pictures of multiple individuals and their brains while they were listening to musical symphonies. The findings backed up the recommendation made by Centura College. Light background music activated parts of the brain that deal with attention, memory, and even prediction making (Baker par. 2). The pictures were taken using an fMRI, which essentially allowed the researchers to see the brain at work. The study found that the musical composition helped the individuals collect the presentment. Jonathan Berger, a professor of music and a musician, explains how music benefits the brain and helps sharpen it for future endeavors. Apparently, long-term music appreciation can lead to better prediction of affairs and help individuals keep in thought (par. 14). According to an article written by Sheela Doraiswamy, there are many benefits to listening to music in general. She says that music has been noticed to enhance memory, math ability, and even attention span. 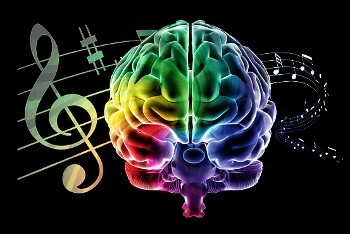 Music can apparently also lessen the symptoms of anxiety and depression. Already it seems reasonable to start listening to music because the negatives of listening to music outweigh the symptoms of anxiety and depression. Doraiswamy mentions a study that took place at the University of Wales. The test was a memory test based on students’ capability to call to mind items in a certain sequence. The students performed the test in exactly five different scenarios. Although this test proved to be non-beneficial to the idea that music is helpful, the researchers at the University of Wales recognized that the study was random and that music’s’ effect could vary on every individual. Doraiswamy mentions a study from the University of Dayton that found that students performed better on an examination if classical music was used in the background. One study conducted by Glenn Schellenberg, a psych professor in the University of Toronto, revealed that certain music actually negatively affects one’s ability to understand readings. Essentially, Schellenberg recommends music listeners to listen to calmer music when trying to study or do work that requires focus. Melanie Fineman, a student at Brown University, also recommends listening to music while studying. Music can benefit study, depending on the type of music being played. Music also can also reduce symptoms of depression and anxiety, so it’ll be more beneficial than destructive. Personally, I listened to music the entire time I was preparing this blog post, and the music itself did not distract me once. Three weeks into my life at Penn State University and I have already contracted the sickness. I bet it’s because of the high density of people on campus and lack of sleep I’ve been getting. So far my only symptoms are loss of voice, a stuffy nose, and a mild cough. Early this morning I went out and bought cough drops. Most people steer away from the sugar-based cough drops, like Luden’s, because they believe the better it tastes, the less effective it is. I like the sugary cough drops. They taste good and I can eat them with ease. As I was sitting at my computer popping cough drops like M&M’s, I wondered, how do cough drops work? 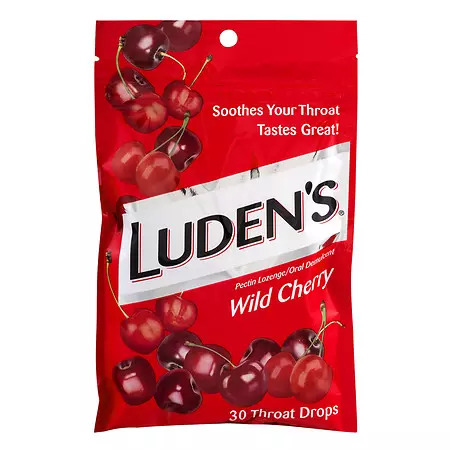 Luden’s cough drops are also known as “pectin lozenges.” Johnathon Andrew, a journalist who received his medical degree from Queen’s University in Kingston, said that pectin could be found in many fruits and vegetables. Although Andrew made some very good points as to how pectin could benefit one’s health, he said nothing about how pectin could alleviate a sore throat and cough. 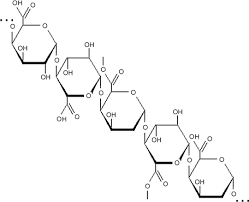 Below is the representation of a pectin molecule. 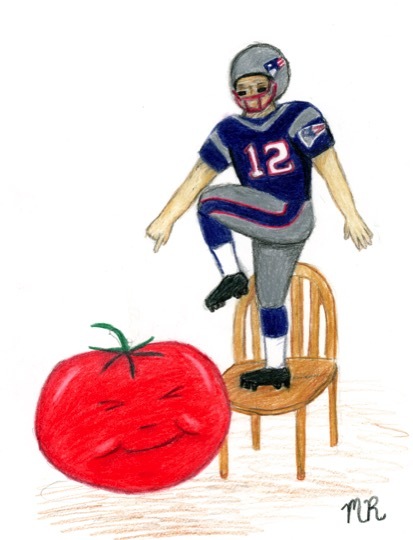 So, I had to dive deeper into the Internet. According to The Daily Meal, pectin soothes the throat by coating it, thus reducing the inflammation. Luden’s also offers different flavors, which have different ingredients, thus working differently. Their honey flavor works exactly like their pectin-based flavor, because they are both sucrose-based. They also offer a menthol cough drop. Apparently, menthol cough drops work the best. To sum it up, menthol cough drops work effectively because they numb the throat (Zocdoc par. 2). One study conducted by the Monell Chemical Senses Center showed that the menthol found in cough drops had the same relieving effect as a menthol cigarette. After reading this I was curious to find out if there could be harmful sides effects from taking in menthol. Sure enough, the first searches on Google after typing “menthol cough drops” show concern about the side effects of taking menthol medicated cough drops regularly and while pregnant. The University of Maryland Medical Center lists of a bunch of potential side effects and warning for when using menthol lozenges. Although there is no certainty that any of the side effects would happen, I would just stay away from menthol lozenges. The Monell Center study shows that both sucrose and menthol based medications work, with only a 20% difference in cough outset. So both types work, with very little variation (Monell 2). In conclusion, I have found that there are two types of cough drops, sucrose and menthol. Both types have been proven to work. Sucrose (pectin-based) cough drops coat the throat in order to relive the pain, where as menthol cough drops use anesthetic agents to relieve the throat of its pain. Cough drops do work, and although they might not actually heal the illness, they definitely relieve some of the symptoms. Zocdoc, Do Cough Drops Work? This entry was posted in Uncategorized on September 15, 2016 by Maximilian Arthur Kesner. Why can’t science just leave me alone? Science 200 I hope you’re not like all my past science courses. I’m Max Kesner and I would say I have a love/hate relationship with science, except for the fact that there is no love involved at all. I went to a high school ran by religious brothers named Marianists. Classes were almost always excruciatingly boring. Freshman year I took an oceanography course. Teaching said course was a Marianist brother who had the most monotone voice ever, which created a bit of a problem for me. I’m not in this picture, but this is what everyday for four years looked like for me. I got detention a couple of times for falling asleep and so did my peers. Needless to say, I didn’t enjoy the class. Sophomore year biology I had a teacher with a great personality who just couldn’t teach to save his life. He was new to the school and couldn’t really adapt to the way things worked there, so the all the students ended up teaching themselves from the textbook. My junior year chemistry class was different. Instead of getting detention for sleeping, I got detention for using a match inappropriately. I had lit a match, but my lab partner never turned the gas for the Bunsen burner on, so I blew the match out and we tried again. This would have helped me out a lot. My teacher didn’t care about the reason I wasted a match, he was dead set on giving me detention. Also, I just really never understood chemistry. Senior year physics was the only science class I can say I ever enjoyed. 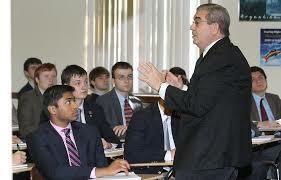 The entire class was formula based, which was great for me because I’m more math oriented. Except for physics, I don’t like science and majoring in it seems like an absolute nightmare. Anyways, the reason I’m taking SC 200 is because I didn’t want to take any other general education classes. I was stuck between SC 200 and a meteorology course. Luckily, I picked SC 200. I say luckily because after sitting through two lectures I can tell it’s going to be an interesting class. I won’t fall asleep because Andrew’s voice is not in the least monotone and the class doesn’t have labs so it seems like I have no reason to get into trouble. I’m looking forward to the rest of the semester, and the fact that science can’t get me detention anymore. This entry was posted in Uncategorized on August 29, 2016 by Maximilian Arthur Kesner.